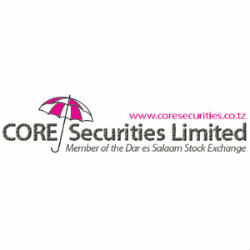 According to the Weekly Market Report of the trading week ended on 13th September 2013 issued by CORE Securities, a leading Tanzanian licensed stockbroker, the Dar Es Salaam Stock Exchange total turnover increased by 606% to 6,406.24 million from 907.85 million the previous week. On Friday 13th September the Dar es Salaam All Share Index (ASI) closed at 1613.90 (-0.18%), the Tanzania Share Index (TSI) closed at 1995.96 (+0.53%), the Industrial and Allied Index (IA) closed at 2192.58 (+1.11 %), and the Bank Finance and Investment Index (BI) closed at 2007.56 (+0.62%) points. Last Treasury Bills auction was done on 11th September 2013 with a total of 147 successful bids for a value of 110,420 million. Spot gold was down by down by -3.84% to 2.140 million per ounce (1 ounce = 31.10 grams) on Friday 20th September. In comparison to previous week Average, the shilling lost ground against the EUR, GBP, ZAR, & UGS and gained against USD and KES Currencies. On the week close Friday 20th September 1USD=TZS1,610.82. The annual headline inflation for the month of July 2013 decreased to 7.5% from 7.6% as of June 2013. However inflation will decrease to a single digit in three month to come (IMF report).